I recently chopped off like, 8 or so inches of my hair because it was SO DAMAGED from bleaching and dyeing and just me not taking care of it very well. So now I've got this (pretty adorable) self inflicted bob cut. Not a problem, right? Wrong! I'm getting married in 15 months and the theme? Lord of the Rings. It's high fantasy, so my goal is to make it as nature-y, flowy, and elf-y as I can (love the elves). So obviously I was trying to go for looooong flowy hair that's pretty reminiscent of the elves and their elegant, natural, wavy style. So knowing that, I'm aware I can't possibly get my hair like halfway down my back in less than 15 months (sadly), but I'm still rooting for that style for my wedding hair. Maybe you could do hair extensions? Idk, I've never tried them but thought about it. It might work! Also congratulations on getting married! I agree, get hair extensions. During your hair and make-up consultation, this would be a great time to try out different styles. As hair extension kits come with several pieces with different lengths, as this adds layers,dimension and volume to your existing hair length and style. 1) Clip in. (Temporary) Which is a lot easier for you to take them in and out, yet they are very secure. You or a stylist just clip the sections in! 2) Glued in. (Semi-permanent) This type / method is more expensive as a stylist has to glue the extensions to a section of your roots. They will last longer, but will lengthen out as the section of hair it is glued to, grows out. The beauty with hair extensions, is that all the sections will blend in seamlessly with your natural hair so that all of your hair will look natural, plus you can style your hair any style you want. Make sure you get real human hair extensions, as they can handle the heat of hot tools. Synthetic hair will melt which means you are very limited in what kind of style you want to put to it. Good luck and have fun with it! Cheers! I can reccomened you only Wedding Forwrad blog to see more new hairstyles of 2019! 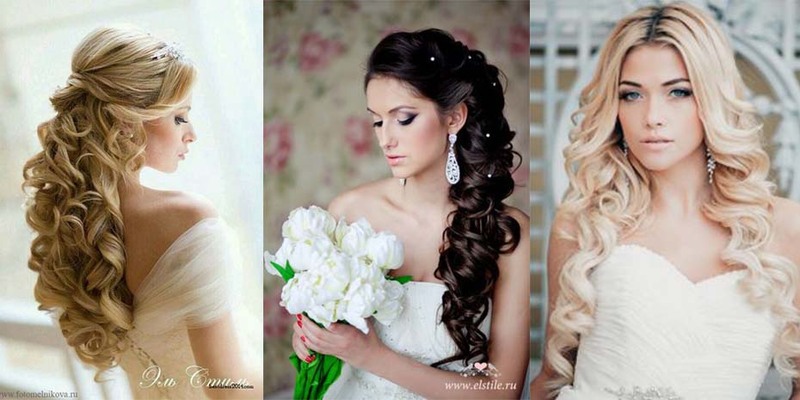 With so many classic and trendy options, it can seem impossible to choose the perfect wedding hairstyles for long hair. Don’t worry, we got this. We’ve assembled a gorgeous collection of wedding hairdos for long hair including chignons, waterfall braids, classic half-up, half-down styles, fishtails, flower crowns, buns, updos and ponytails, and some hairstyle options for curly or wavy hair.